Dr. Sanaz Memarzadeh, a UCLA professor in obstetrics and gynecology and member at the UCLA Jonsson Comprehensive Cancer Center, helps us understand the basics of ovarian cancer. A better way of diagnosing and treating ovarian cancer is on the horizon. Dr. Sanaz Memarzadeh, a UCLA professor in obstetrics and gynecology and member of the UCLA Jonsson Comprehensive Cancer Center, is convinced of it. She and her colleagues are focused on discovering why epithelial ovarian cancer, one of the most common and aggressive subtypes of the disease, often reoccurs despite standard treatment. Through a collaborative effort at UCLA, researchers are trying to restore the function of a key protein – known as p53 -- that is commonly mutated in ovarian cancer. Memarzadeh and her collaborators are testing whether this approach, coupled with standard therapies, can prevent recurrence of ovarian cancer. Such commitment is vital. 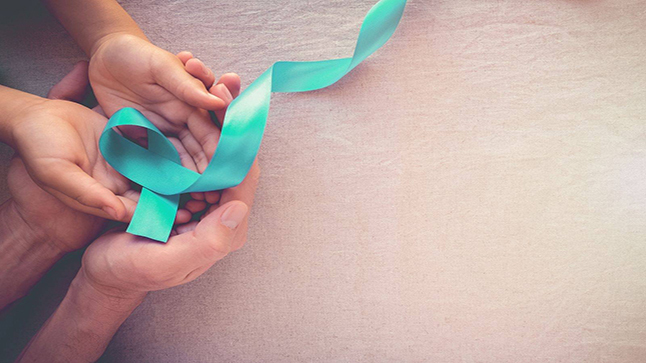 Although ovarian cancer is often considered a relatively rare cancer – accounting for only about 3 percent of all cancers in women – it causes more deaths than any other cancer of the female reproductive system. It’s also the fifth-leading cause of cancer death in the United States. Ovarian cancer can’t be easily detected. Ovarian tumors are responsible for a disproportionately large number of gynecologic cancer-related deaths, because no test can reliably detect the disease at an early stage, when it’s most easily treatable. Warning signs are often mistaken for more common illnesses. The symptoms of ovarian cancer (such as feeling bloated or full, having stomach pain or trouble eating, and needing to urinate often) resemble other common ailments, which further impedes early detection. For more than 40 years, ovarian cancer treatments, including surgery followed by chemotherapy, have remained largely the same. More recently new targeted agents are being incorporated into treatment regimens. Epithelial ovarian cancer, the most common type, occurs most often in women ages 50 to 65, sometimes running in families. Genetic testing for two genes typically associated with breast and ovarian cancer – BRCA1, BRCA2 and others – is recommended for those who have a strong family history of breast or ovarian cancers. More funding is needed to find better treatments for ovarian cancer. Ovarian cancer is particularly underfunded and understudied compared with other cancers. For example, in 2016, the National Cancer Institute invested $95.6 million in ovarian cancer research. That investment was 60 percent less than prostate cancer research (which received $241 million) and 82 percent less than breast cancer research (which received $519.9 million), which kills a proportionally fewer number of people who are diagnosed.